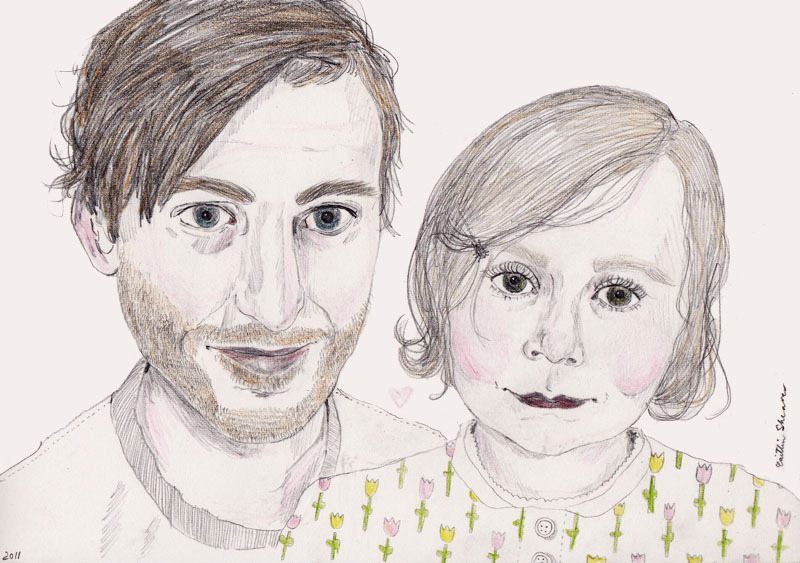 A sweet little portrait of a father and daughter that i was commissioned to make for a family in Victoria. p.s. You can order one for yourself too! Click here. This is beautiful. What an attractive family, and I love the touches of color.